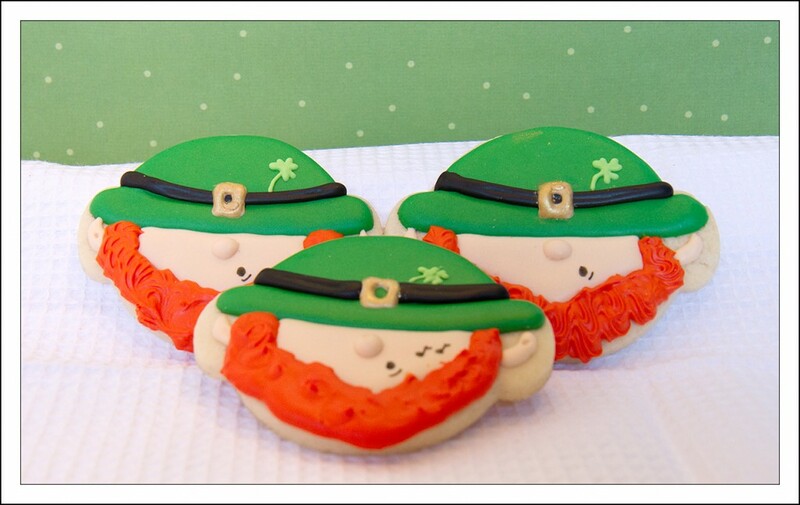 I have tried several chocolate sugar cookie recipes and this recipe is my current favorite. I found this recipe on Sweetopia’s blog. They are a soft cookie with a lovely bite and flavor. I have been having fun playing around with cookies in the last week. 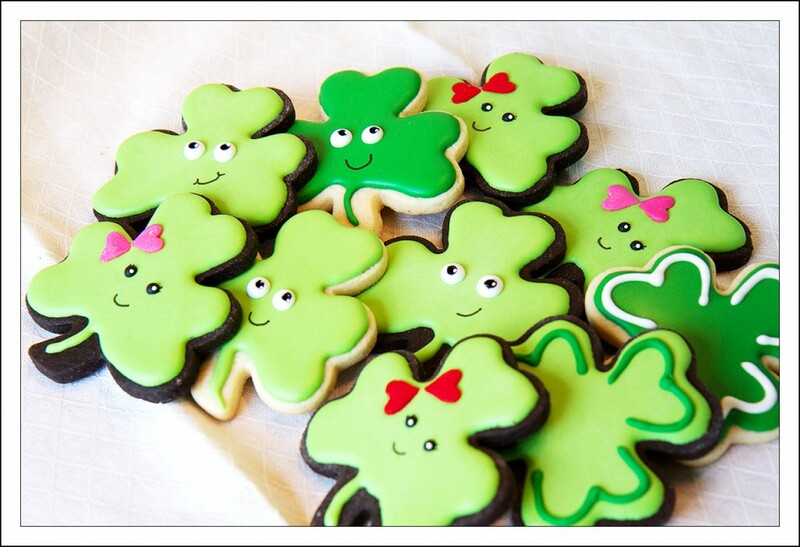 Our son and daughter-in-law will be hosting their annual St. Patrick’s Day party in a few days. We haven’t been able to attend in quite a few years but this year will be different. Not only will we get to spend some time with our son’s family but Jim’s cousin and her husband will be coming too. We haven’t seen them in too many years and we are looking forward to catching up. They are so much fun to be around. I know there will be lots of old family stories and laughter! I usually mail cookies to the kids for the major and minor holidays. 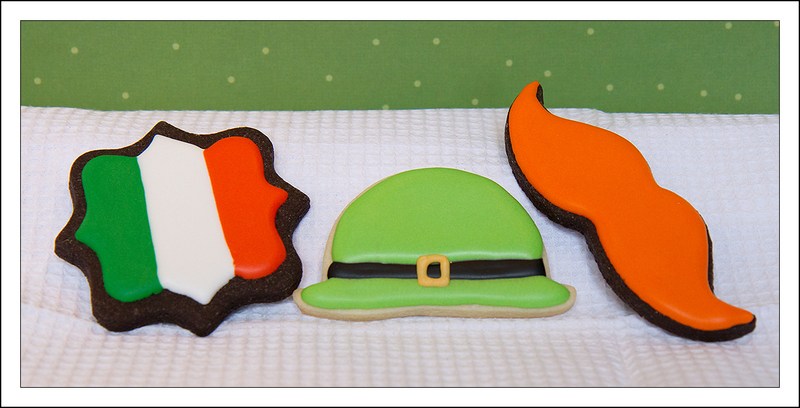 Depending on your perspective, St. Patrick’s Day might be a major holiday or a minor one. 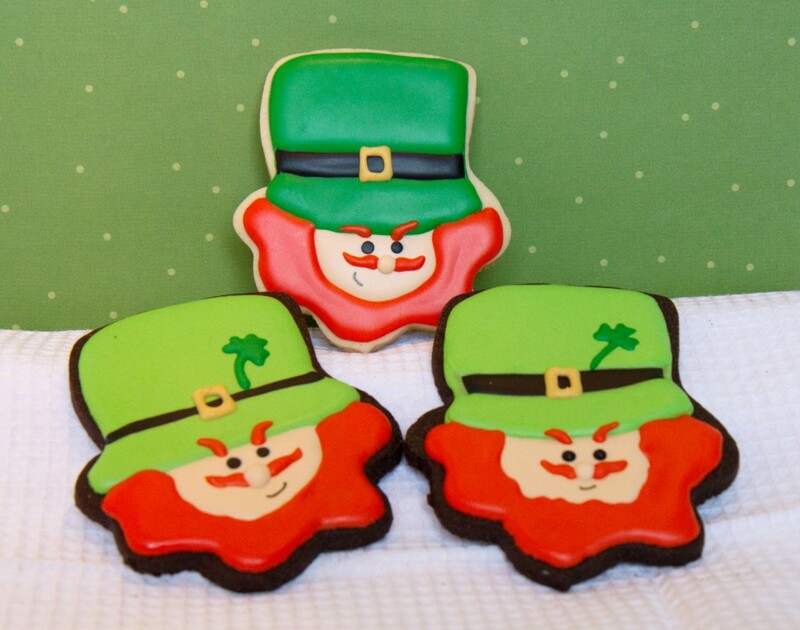 This year I made extra cookies to bring to the party. 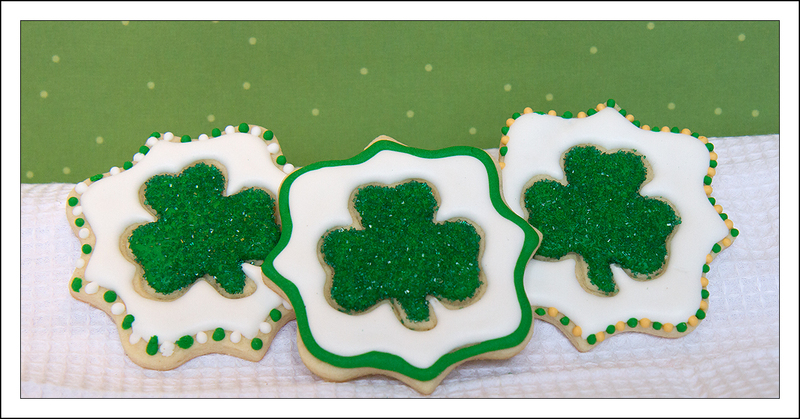 Here are a few of the cookies I made for the event. These Leprechaun’s were made with a snowman head cookie cutter. The idea came from Love Bug Cakes and Cookies. 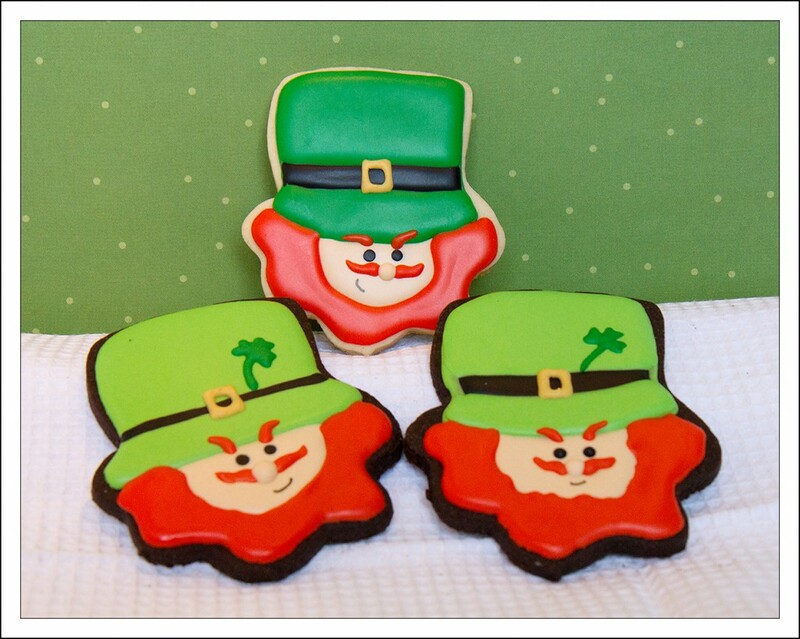 These Leprechaun cookies were made with an upside down cupcake cookie cutter. 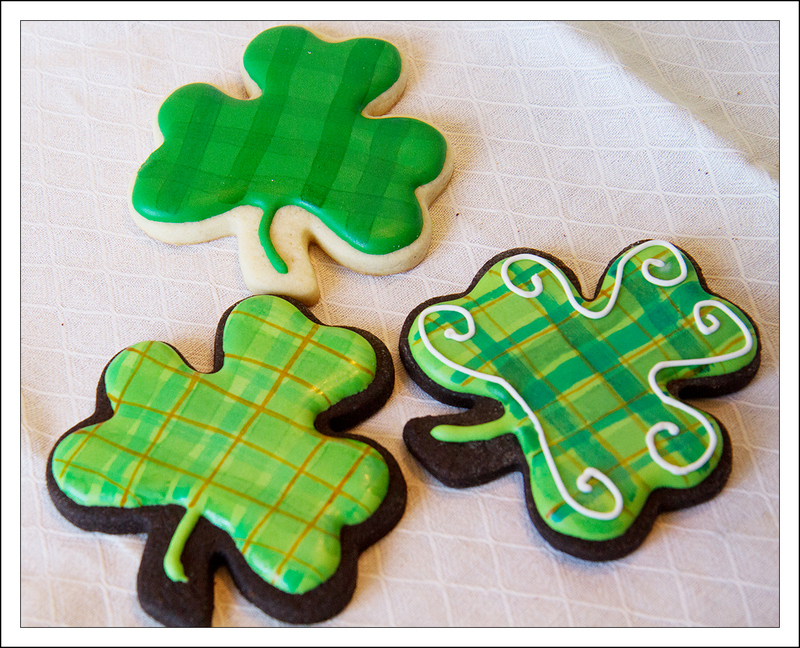 These plaid cookies were just for playing around. I have long admired cookiers who paint on cookies and wanted to try the technique. I also have been working on being able to adjust my icing to the correct piping consistency. Both areas still need a lot of work but I loved doing it. I will be practicing painting on some Easter cookies today and can’t wait.